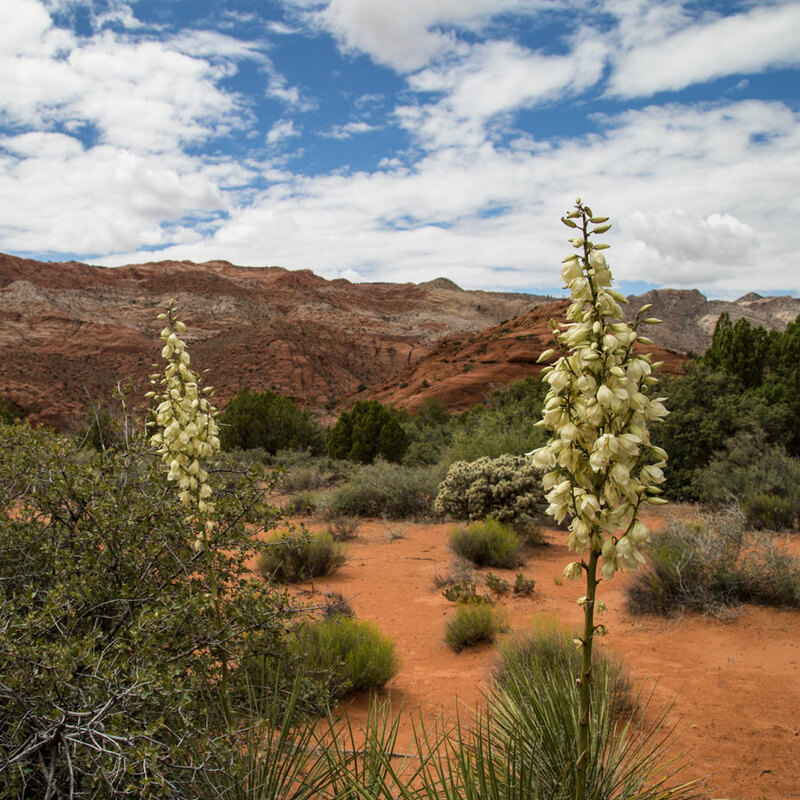 "Blown away" is really the only way to describe our reaction to Snow Canyon near St. George, Utah. 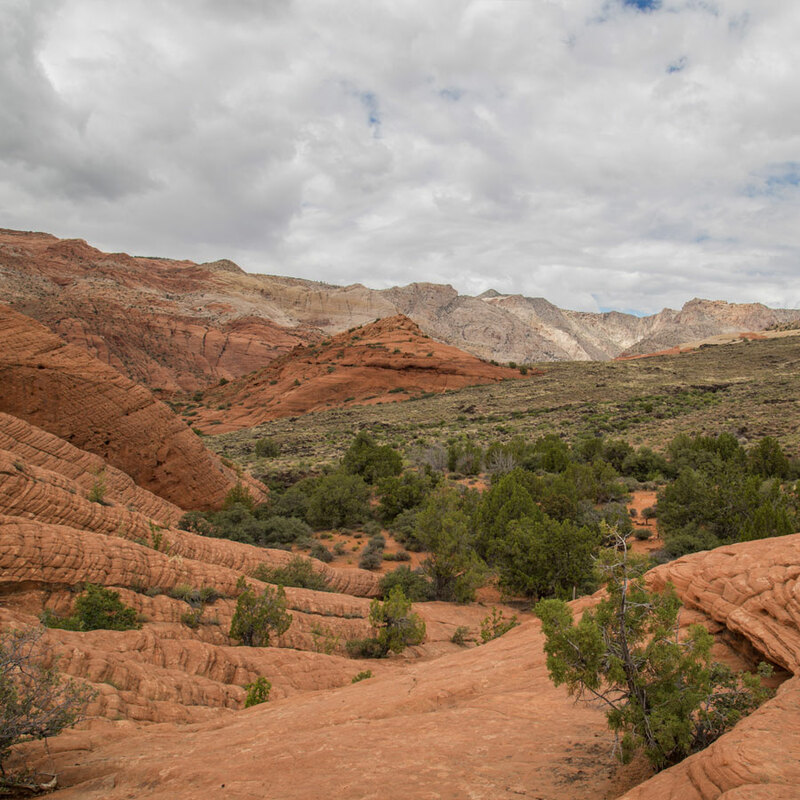 Having already explored Zion National Park, we were looking for a weekend activity and decided on a whim to see what this state park had to offer. 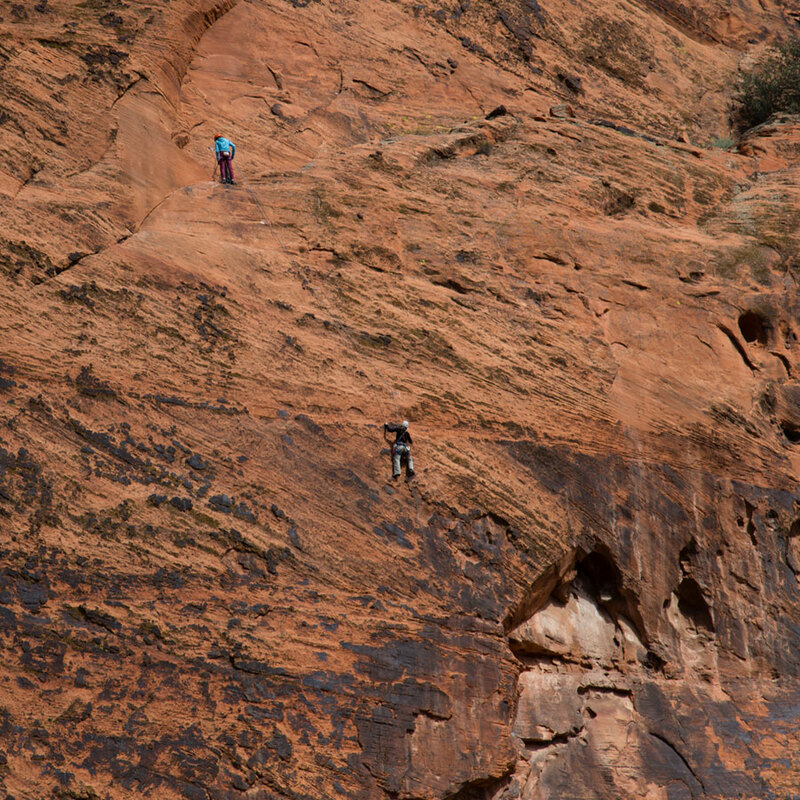 Near the entrance, we found plenty of rock climbers making their way up the sheer face of the canyon wall. 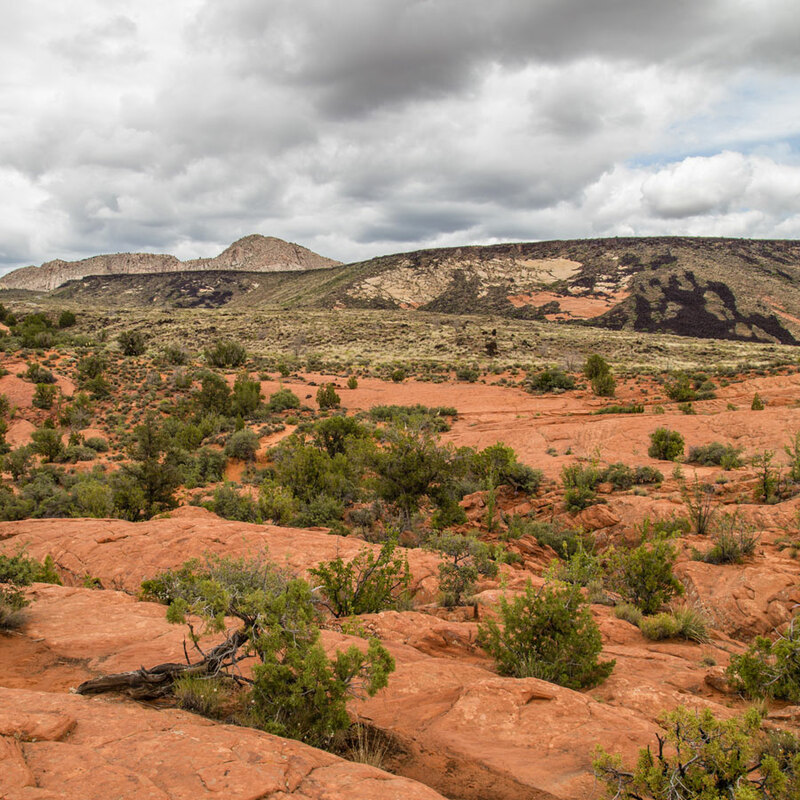 Preferring to keep our feet on the ground, we started our hike along the Petrified Dunes Trail, formed of ancient sandstone dunes. 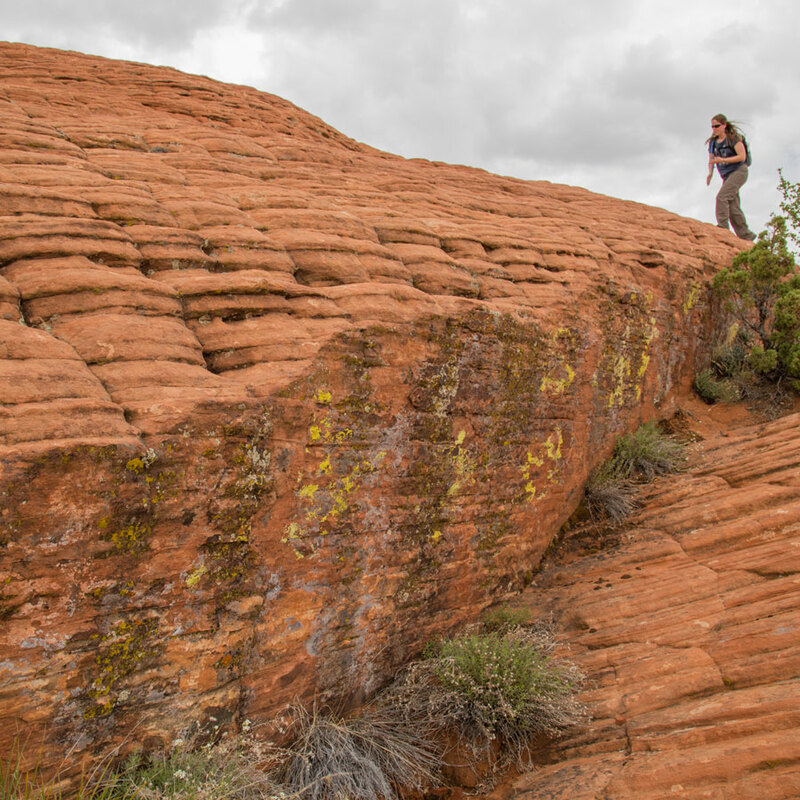 Unlike at Cathedral Rock in Sedona, here there are no cairns to guide you along the trail, as any of the sandstone is fair game. 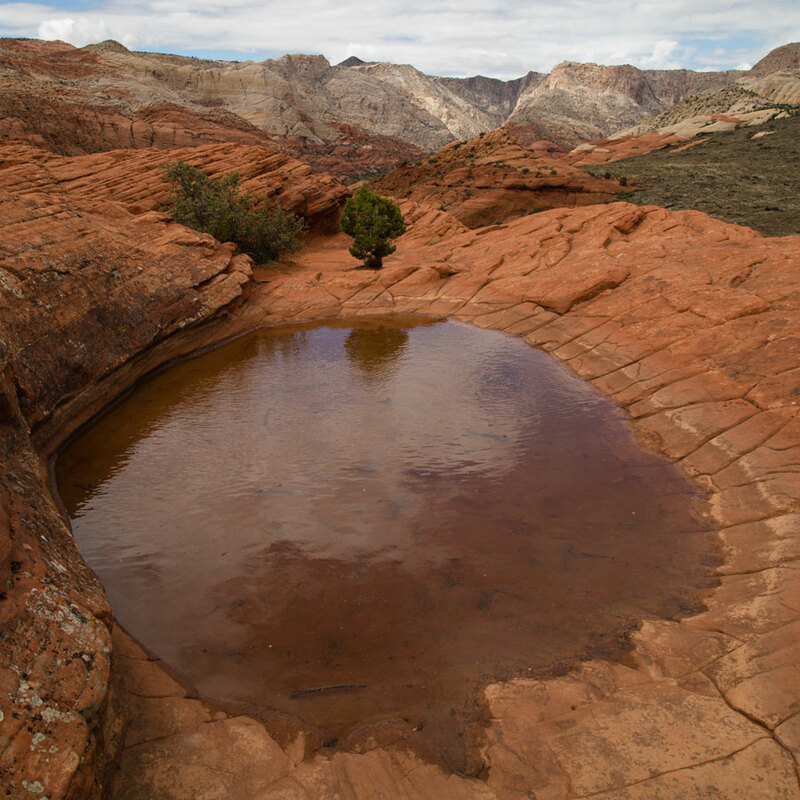 The desert may seem lifeless, but pockets of water maintain plants and animals galore. Because we had explored the dunes without a trail to guide us, it was a bit tricky finding our way to the trailhead. All that red rock starts to look the same after a while. In the end, we found the start of the Butterfly Trail, and continued our hike. We didn't see any butterflies, but the path displayed many wildflowers in full springtime bloom. 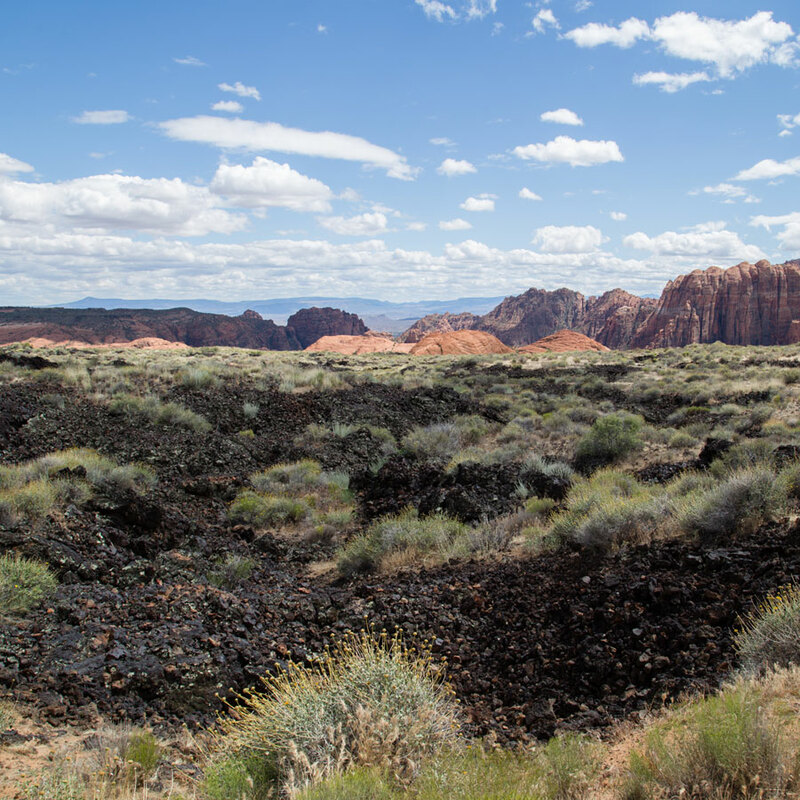 From this trail, we started to see the full geological variety of the park, including white mountains and black lava. From the Butterfly Trail, we turned onto the Lava Flow Trail. Here, ancient volcanic eruptions have left lava fields strewn along the ground, their dark color a stark contrast to the surrounding canyon walls. But there is another surprise: here there are several lava tubes that burrow dozens of feet underground. When lava on the surface of the earth cools, sometimes it continues to flow underground, forming tunnels that eventually cool. So if you're feeling adventurous, bring a head lamp and a friend to give you a boost. 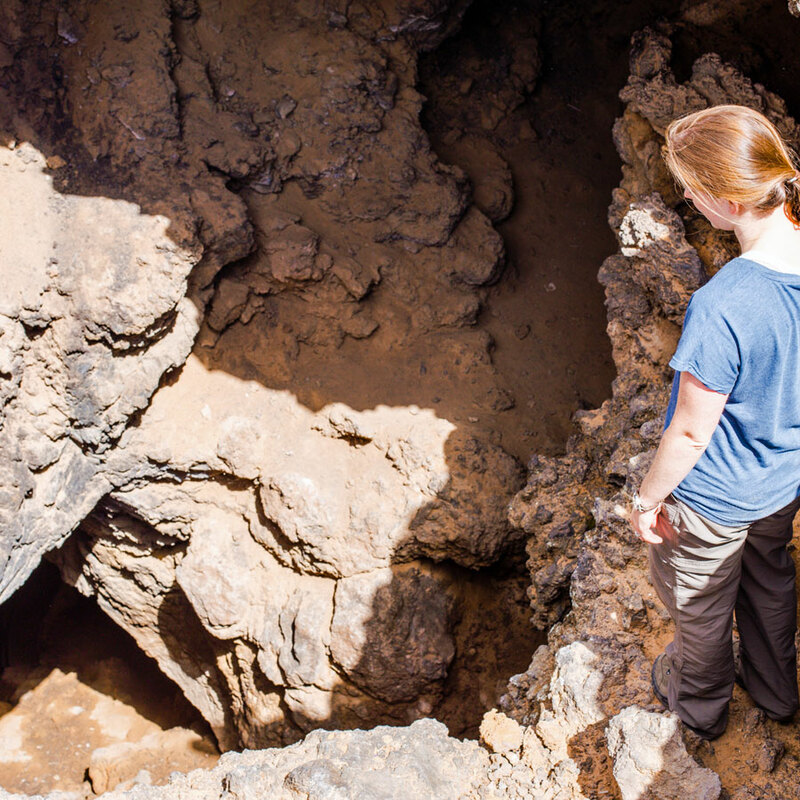 While the lava tubes are free to explore, some of the ledges are quite deep. 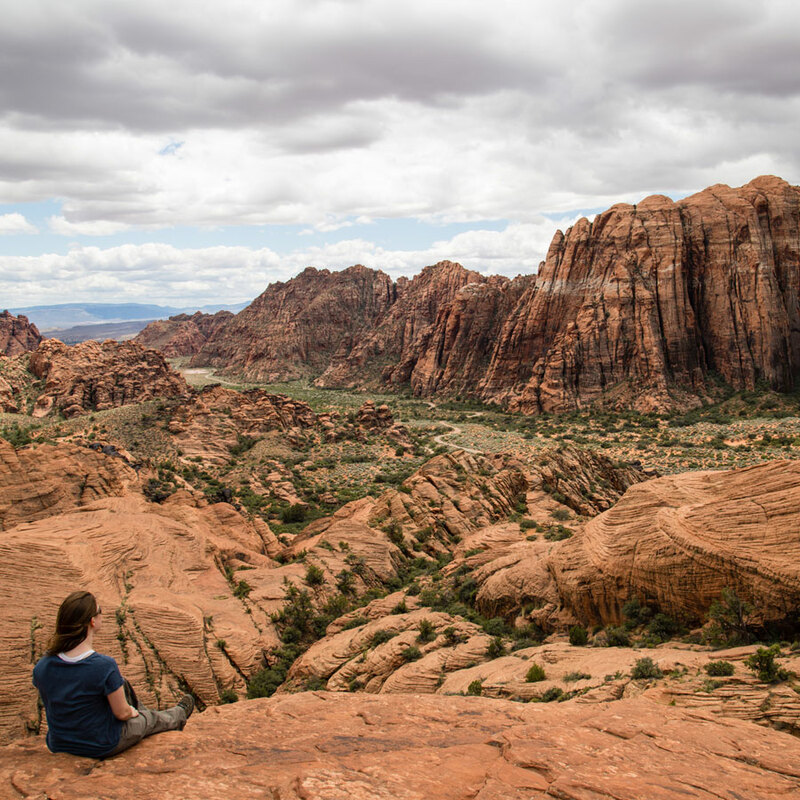 Have you been to Snow Canyon State Park, clambered up petrified sand dunes or explored the deep reaches of lava tubes? Let us know about your experiences.